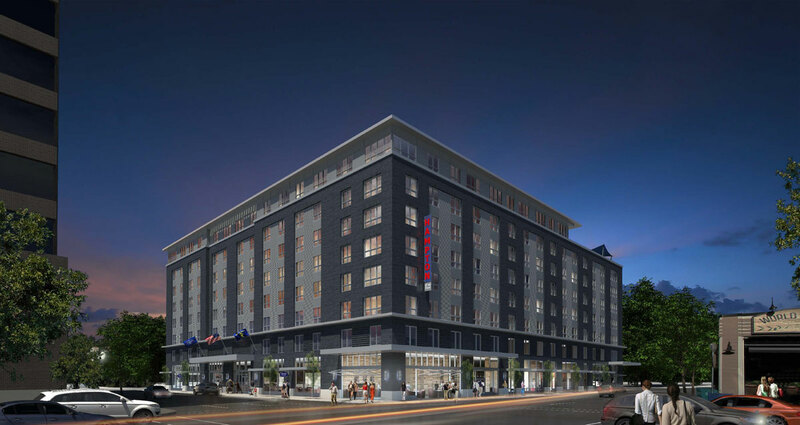 Design Review drawings for a Hampton Inn & Suites in the Pearl District have been submitted to the City. 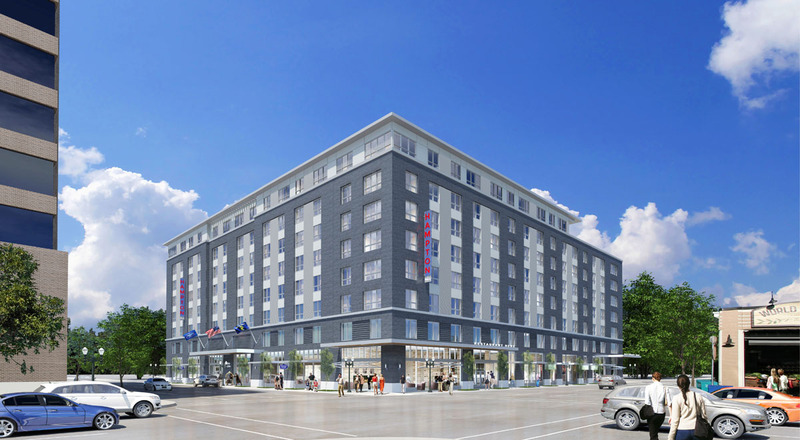 The proposed 8 story hotel at NW 9th & Everett will have 243 guest rooms and 104 above grade car parking spaces. The ground level will include hotel public spaces such as the lobby, lounge, dining area and meeting rooms facing onto NW 9th Ave. There will also be restaurant and retail spaces fronting NW Everett St and NW Park Avenue. A roof terrace overlooking the Park Blocks will be located on the 8th floor. The developer of the project is Wisconsin based Raymond Management Company. Gary Brink & Associates, also of Wisconsin, are the architects of record, while local firm Hannebery Eddy are serving as the design architects.